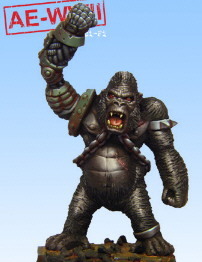 Brigade also acquired two miniatures originally produced for What The?! 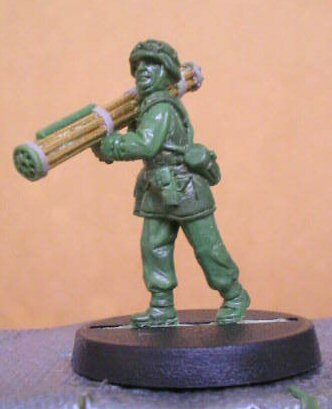 Miniatures, carrying the German Fliegerfaust shoulder-fired AA rocket launcher. A real-life weapon designed at the end of the war to engage low level allied fighter-bombers with a volley of 20mm rockets. 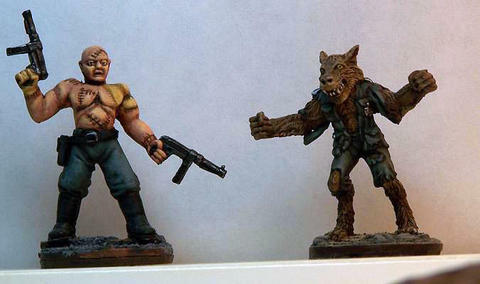 The figures are sculpted by Aaron Brown (Black Crab Studios). 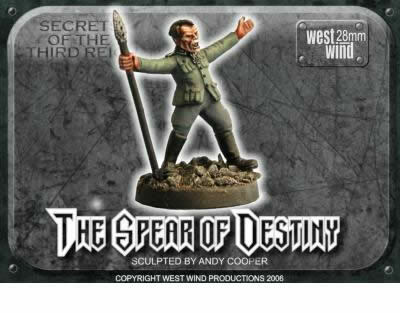 The range has a few character figures that don't come with separate heads (like the spear of destiny and the thug). 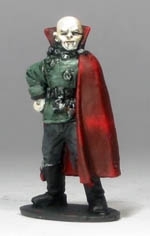 The German Mech Grenadiers are the standard gasmasktroopers everyone's been waiting for for ages now. 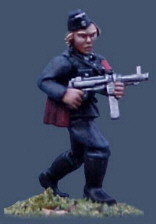 They come with the standard set of German heads with gasmasks and helmets (a second set of heads is available, including a Kroenen-type officer head). They are about as tall as Artizans and BAMs. Overall, they are better than in the pictures, their main weakness being the hands, which aren't always very well sculpted, though subsequent releases seem to get better and better. 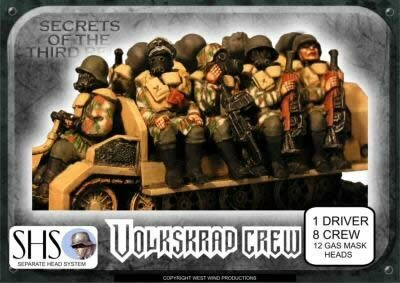 There is also a pack of seated versions which I found fit snugly in my 1/50 Corgi halftracks. 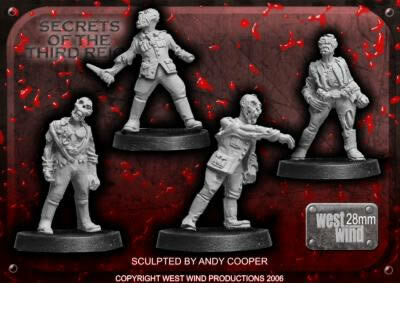 The Germans naturally get Zombies: 16 different poses and 16 different (separate heads), half bareheaded, half with helmets, one with peaked cap. Good value for money. They also get Werewolves and weredogs. Big figures that will stand a head taller than your normal humans, and paras in drop armour. 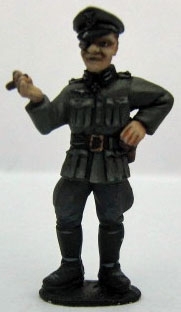 This UK-based company has had the good idea of joining forces with Jim Bowen (Graven Images) to design and sculpt a range of Alternative WWII figures in 28mm. 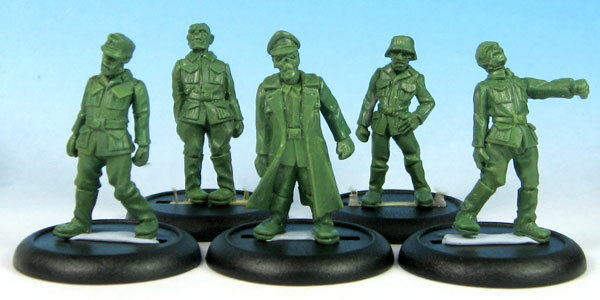 The figures are 'big' 28mm, comparable in height and heft to Copplestone figures. 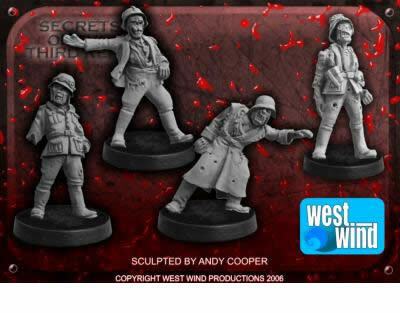 First release includes a pack of five Nazi zombies in a variety of uniforms and a Nazi officer, with more to come. One to watch! Famous for his pre-WW2 pulp range(see the Pulp Era showcase), Bob Murch is working on a "Weird Menace" series which will focus on some of the more outlandish villains of Pulpdom. 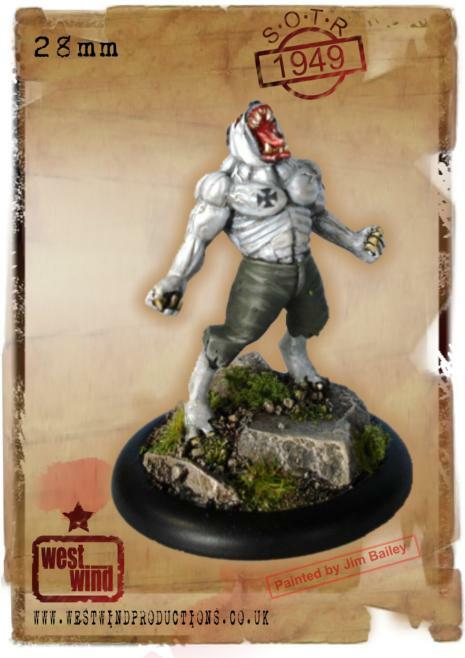 One of the first packs is "Ilsa and the She-Wolves". One has to admit that infamous movie seems to have left it's mark on WW2 pulp. 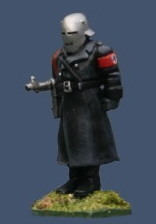 There's also a nazi figure with a steel mask in the "Weird villains" pack and a She-wolf unit builder pack made up of identical models. 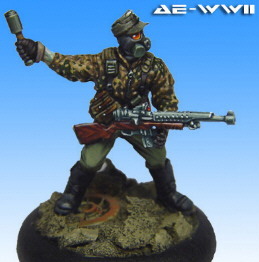 Darkson Designs produces "AE-WWII", a range of finely detailed 28mm pulp WWII figures. The figures are multipart metal to allow as much diversity as possible and add-on packs are planned to expand the assembly possibilities. 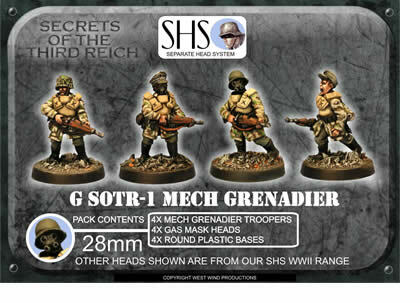 To illustrate this, a pack of 3 German troopers contains: 3 Torso/Legs - 4 Heads - 3 Sets of Arms - 1 Grenade throwing arm - 3 Rifles - 1 Sturmgewehr - 3 Warmachine style bases. Proportions are a bit slimmer than most other ranges, but the ones I have fit in well enough if you're not too fussy about that. 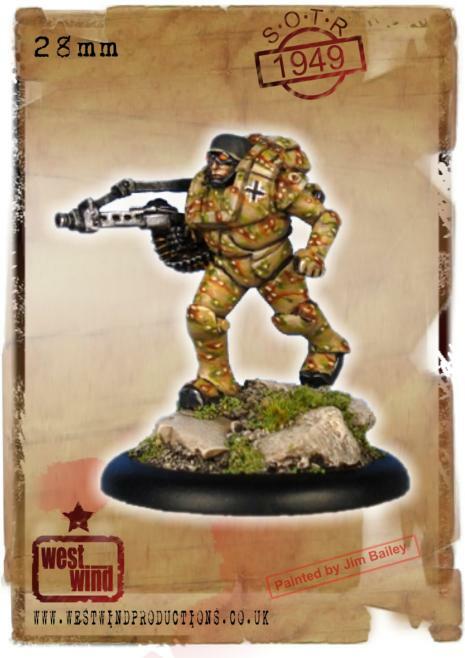 Historical WW2 miniatures manufacturer BAM has finally given in to the dark side and added a WWII Weirdness line to the ever growing range. This includes WWII inspired strange flights of fancy. A very sporadic range, with only an occasional release. As always, the figures are sculpted by Paul Hicks. Click here to go to page 2 or return to the Weird WWII main page. 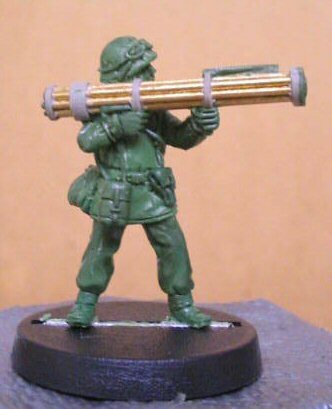 Don't forget to visit the WWII Showcase for even more WWII miniatures and the Pulp Era Showcase for some generic pulp miniatures.